Discover MilanoCard combos ! Don’t lose your time ! 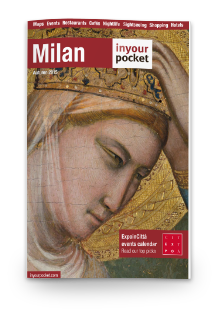 In this page you can discover all the MilanoCard combos. Thanks to MilanoCard you can save time and money and enjoy your visit in Milan. Discover the Crypt od Leonardo realized around the XI century was the original center of the city where the cardo cross the decumano; Highline Galleria is the panoramic path realized over the roof of Galleria Vittorio Emanuele, one of the symbol of Milan; from Malpensa Airport to Milan Central Station, Garibaldi Station and Milan Cadorna Station is possibile to get the Malpensa Express, the fast train that connect Malpensa Airport Terminal 1 to Milan Centre; visit one of the greatest masterpieces in the history of art, The Last Supper, located in the refectory of the 15th century Church of Santa Maria delle Grazie; the terraces of Duomo where you can have a wonderful view of the city between the famous spires called the guglie; discover the city thanks to Hop on Hop off, the red bus of Milan.